This rare cancer starts in the tissues that line your organs. 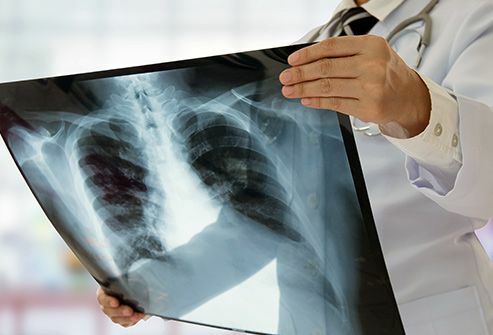 It happens most often in your lungs, where it’s called pleural mesothelioma. You also can get it in the lining of your belly and, very rarely, around your heart or testicles. 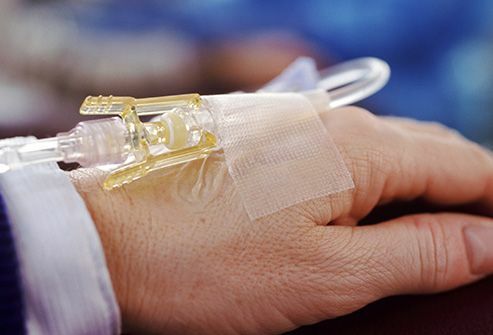 It’s a fast-growing cancer that can be treated, but not often cured. The different kinds of mesothelioma are based on how the cancer cells look. Epithelioid is the most common -- the cancer cells are arranged in sheets. Treatments work better on this one than others. With sarcomatoid, the cells are spindly. This is the least common and hardest to treat. Biphasic is a mix of the other two types. 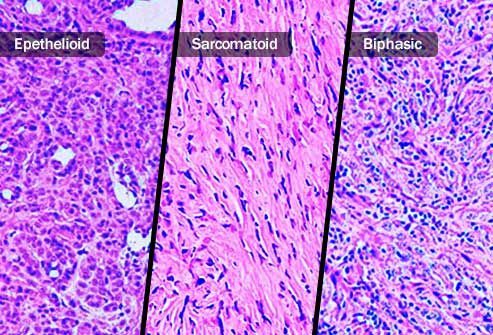 The more sarcomatoid cells there are, the harder it is to treat. 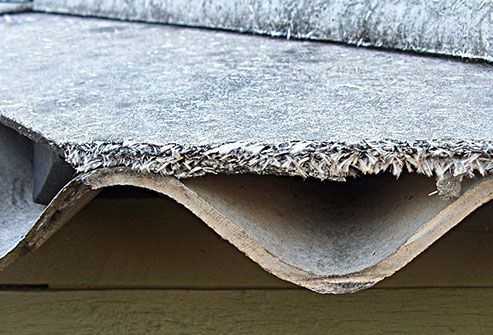 You’re more likely to get malignant mesothelioma if you spend a lot of time around asbestos, a natural mineral once used in floors, shingles, and other building materials. You’re also at risk if you live with someone who works with it -- the dust can be brought home on skin and clothes. 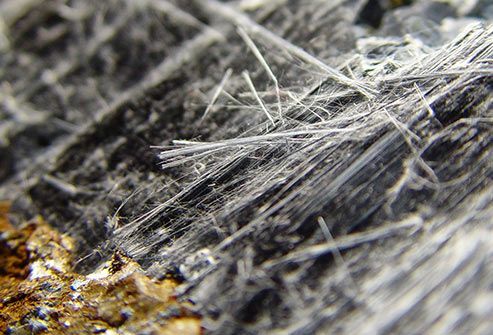 When asbestos breaks, its dust can get into your lungs and may lead to mesothelioma. Doctors aren’t sure why. Not everyone who’s around it gets cancer, and it might not show up for up to 40 years. Many other conditions can cause these issues, but see your doctor if you’re concerned, especially if you’ve been around asbestos. 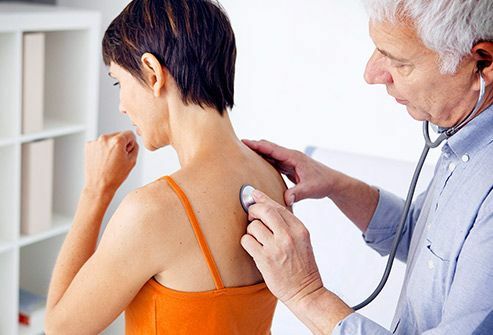 Your doctor may ask questions about your health history, then give you a physical to look for lumps or fluid buildup in your chest or belly. He also may want to get a closer look at your lungs with a chest X-ray. Depending on what that shows, he may recommend a scan to see where the tumor may be and if it has spread. 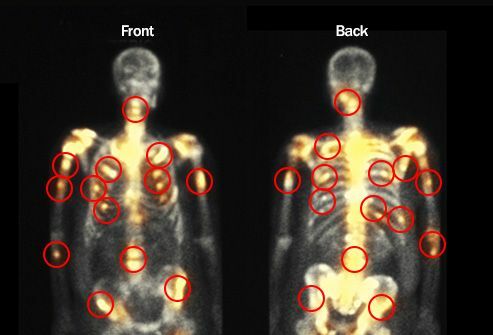 This might be a computerized tomography (CT) scan, when several X-rays are taken from different angles and put together to make a more complete picture. 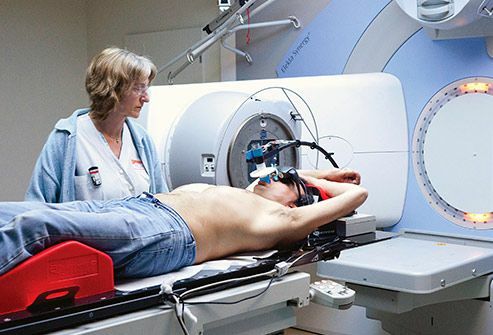 Or he might suggest a positron emission tomography (PET) scan, which uses radiation to make 3-D color images. 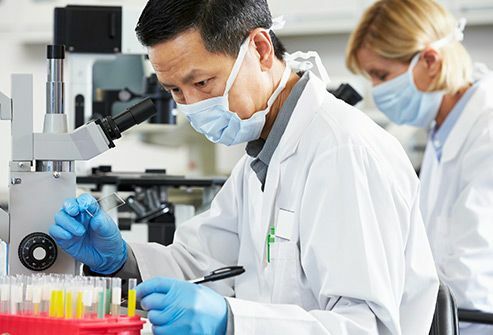 The only way to know for sure if you have mesothelioma is for your doctor to take a sample of the tumor for testing. To do this, he might make one or two small cuts, then use a tiny camera and special tools to take the sample. Or he might take out some tissue or fluid with a needle. In some cases, your doctor might use open surgery, where he makes a larger opening in your body to get the sample. 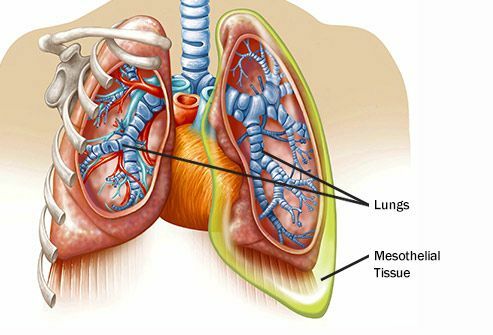 Only pleural mesothelioma, the kind in your lungs, has stages. They tell you how advanced the cancer is and help your doctor know how to treat it. Stage I: It’s in the lining of only one side of your chest wall. Stage II: It has spread into the lining or tissue of your lung and diaphragm. Stage III: It has moved deeper into your chest, maybe into lung muscle or lymph nodes. Stage IV: It has spread throughout your chest or to other parts of your body. Your doctor’s recommendation will depend on the cancer’s stage (if it has one), your overall health, and how well your lungs work. Surgery is the most common treatment. If you find it early enough, your doctor may be able take out all the cancer. 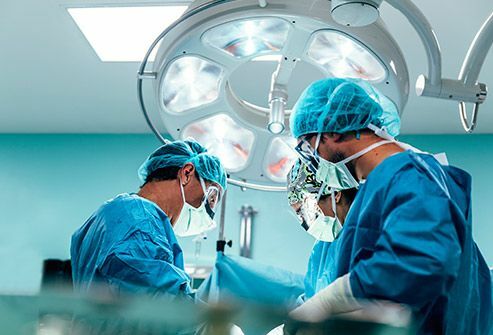 Even if he can’t, surgery can help with symptoms like pain, trouble breathing, and fluid buildup. This is a combination of powerful drugs used to kill cancer. 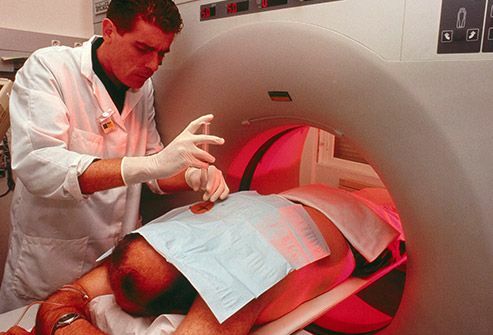 Your doctor may suggest it before surgery to shrink the cancer or afterward to keep it from coming back. It’s also an option for people who aren’t healthy enough to have surgery, or whose cancer has spread throughout their body. Side effects include mouth sores, upset stomach, and throwing up. For this, doctors use beams of high energy to kill cancer cells. It’s sometimes used after surgery to kill off any that are left behind. You can also get it to ease symptoms like pain, trouble breathing, or problems swallowing. It’s usually given in doses that last just a few minutes. Side effects can include feeling more tired than usual, shortness of breath, and upset stomach. 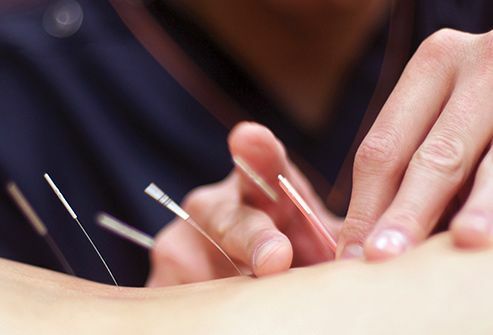 Some forms of complementary medicine may help ease mesothelioma symptoms. For example, if you’re often short of breath, you might want to try relaxation exercises, acupuncture, or breath training to help keep you calm when you have trouble breathing. If your home was built before 1978, be careful when you’re working on it -- it’s more likely to have asbestos. If you’re not sure if your home has problem areas, have an expert check. It’s usually safer to leave asbestos in place than to try to take it out.